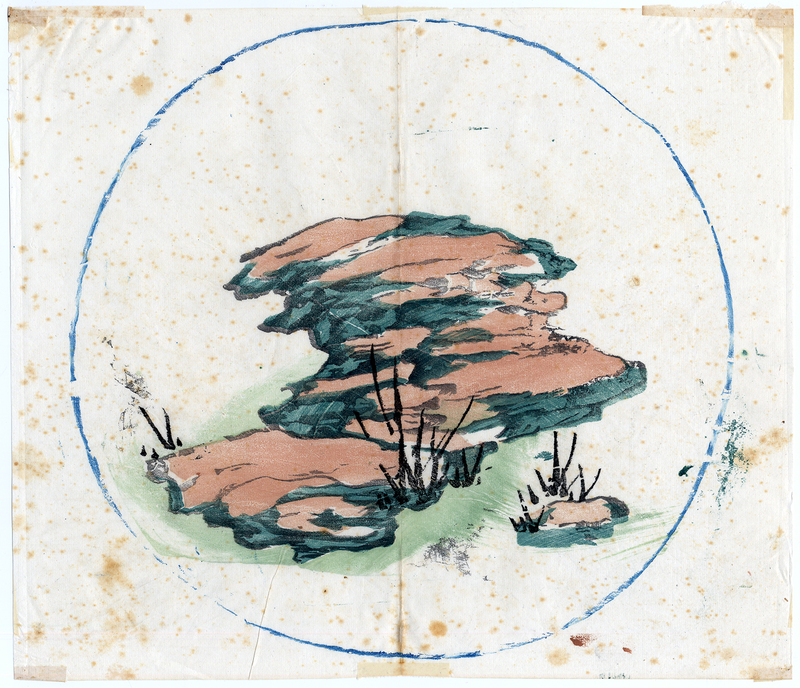 The Prints Collector :: Japanese Antique Print-LANDSCAPE-ROCKS-Anonymous-19th c.
Subject: Antique print, untitled. A small landscape with a rocky outcropping with grass stalks. Condition: Excellent, given age. Scattered small stains in print and margins. General age-related toning and/or occasional minor defects from handling. Please study scan carefully. Medium: woodcut on Japanese paper. Size (in cm): The overall size is ca. 30 x 25.5 cm. The image size is ca. 25.5 x 24.5 cm. Size (in inch): The overall size is ca. 11.8 x 10 inch. The image size is ca. 10 x 9.6 inch. Description: Source unknown, to be determined. Japanese.